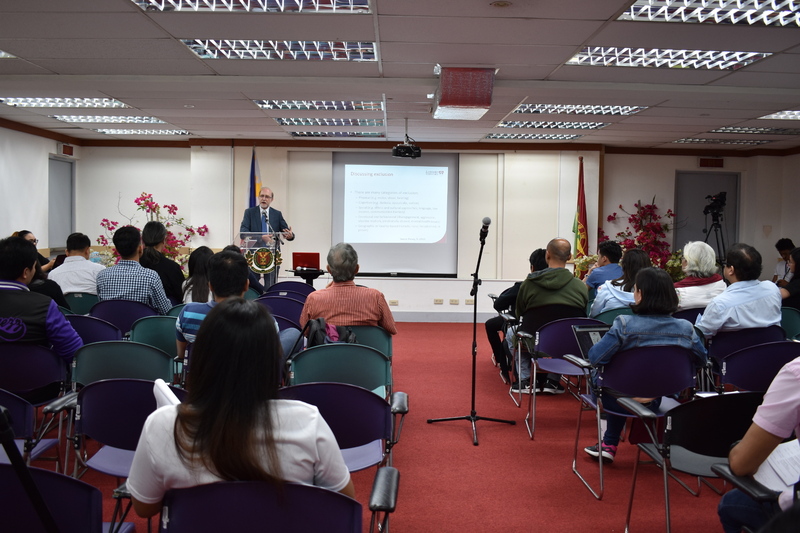 The University of the Philippines Open University (UPOU) Faculty of Education (FEd) organized a Seminar on Inclusive Practices with Technologies for Online Teaching and Learning on 14 February 2018 at the Audio-Visual Room (AVR), UPOU Headquarters, Los Baños, Laguna. The event was participated by the faculty and officials from the UPOU and representatives from the Higher Education Institutions (HEIs) within Laguna. Asst. Prof. Rameses A. De Jesus, faculty member of the Faculty of Education and OIC-Director of the Office of Gender Concerns, facilitated the seminar. In her opening remarks, Dr. Melinda dela Peña Bandalaria, Chancellor of the UPOU, emphasized the timeliness of the seminar on the current initiative of UPOU focusing on the accessibility and inclusivity in Education. She added that it could offer insights as to how UPOU can instigate efforts on inclusivity and accessibility concentrating on the diversity of users and how they can be individually supported through digital technology. 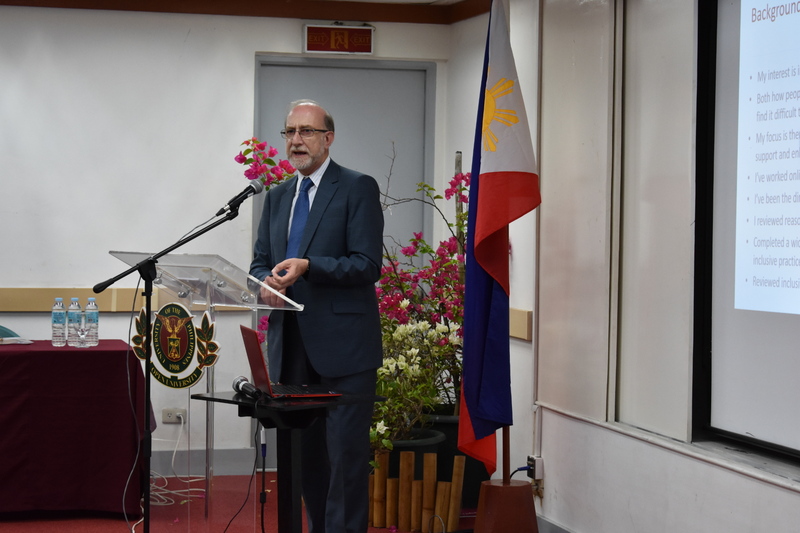 Dr. Don Passey, Professor of Technology Enhanced Learning at the Lancaster University, UK and the Visiting Professor of FEd, served as the resource speaker for the seminar. Dr. Passey opened his discussion by accentuating the complexity of the topic of inclusivity and technology. He identified and explained the different categories of exclusion and elaborated the concept of inclusion by citing examples of inclusive practices. Dr. Passey highlighted in his talk that a single technology cannot solve all inclusion problems and challenges. "What we need to do is to think of the technologies that we have at our disposal and match them with the challenges and problems. We cannot have a single solution, we need multiple solutions", he added. In order to see how technologies can help with inclusion possibilities, he argued that as an online educator, one must have an awareness and understanding of the possibilities of the emerging technologies. Dr. Passey elicited active participation from the audience by encouraging questions and comments. Faculty members, officials of the UPOU and online participants actively engaged in the discussion.